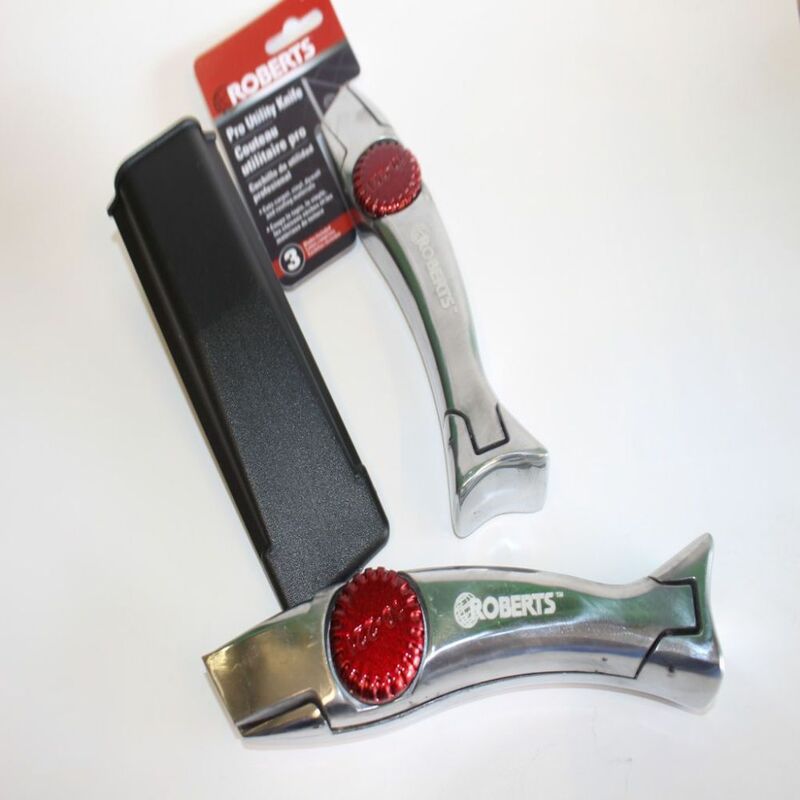 Roberts R10221 Carpet fitting knife similar in design to the Dolphins this version from the Roberts stable has the wheel on the outer edge and the Roberts logo laser etched on the surface comes with plastic case. Slightly larger than the Dolphin it takes all standard pattern blades. Price per knife.